The Adaptive Digital Technologies Signaling Tone Detector detects Signaling tones such as DTMF, MF R1, R2 Forward, R2 Reverse, Call Progress signals. Adaptive Digital’s proprietary algorithm is robust enough to meet Bellcore GR-506, and ITU Q455 recommendations while using few CPU cycles. In addition to carrying speech signals, the telephone network is required to carry various in-band signaling tones. 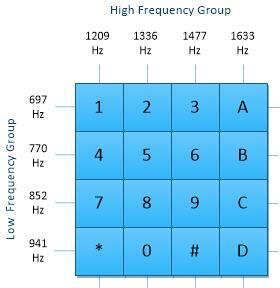 Telephony equipment must pass these tones with little distortion so they can be detected by receiving equipment. While speech compression works well with speech signals, many speech compression techniques are unable to pass signaling tones without excessive distortion. For these type of signals, a tone passer, consisting of a tone detector and tone regenerator, is used to ensure the reliable passage of the signaling tones. Multi Frequency (MF) signaling is used to transmit address information and other information between interswitching-system transmission facilities. There are three variants of MF signaling – R1, R2 forward, and R2 reverse. maintaining strict compliance with industry specifications Bellcore/Telcordia GR506 and ITU Q455. DTMF tones without significant distortion. 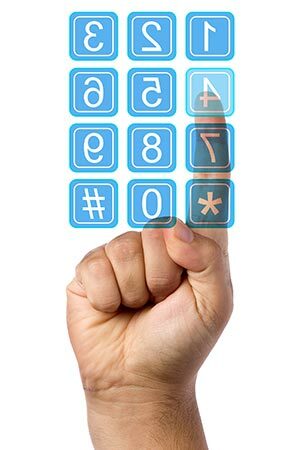 DTMF refers to the signal generated when you press a digit on a telephone’s touch keypad. The term DTMF stems from the fact that whenever a telephone push button is pressed, the phone generates two specific tone frequencies that are the algebraic summation of the amplitude of the two frequencies. Four frequencies are used for the rows and four for the columns, for a total of 8 frequencies and 16 possible combinations. So that a voice can’t imitate the tones, one tone is generated from a high-frequency group and the other from a low frequency group of tones. The complex DTMF tone detect algorithm determines the single generated digit by extracting the two frequencies from the input signal, allowing for tolerances such as frequency offset and distortion such as additive noise, and then checking them to see if together they qualify as one of the digits. A DTMF detector rejects any tone frequency that is not the sum of one high and one low tone. This prevents speech and noise signals from being interpreted as DTMF tones.